As part of the Magic Dragon phonics project we play many games to help us improve our phonetic competence and pronunciation in English. 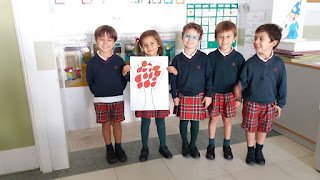 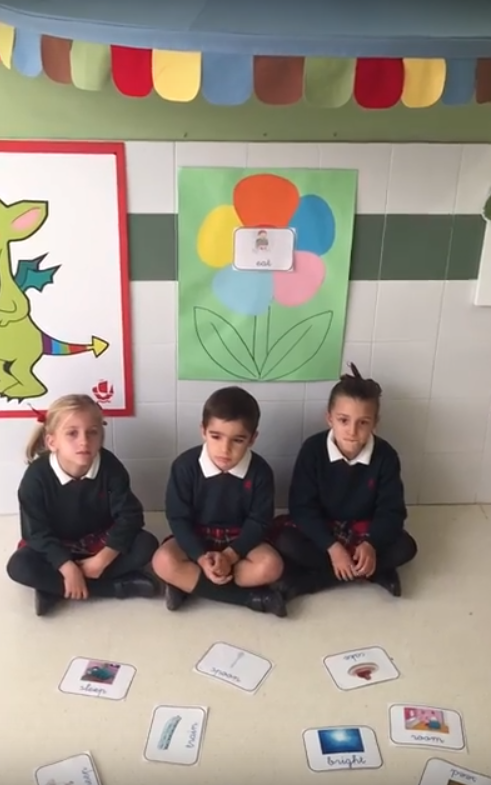 One of the games we´ve been playing this week is called the flowers of sounds, where we have to choose words that contain the special sound and stick them on the flower. 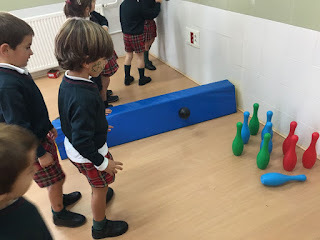 Take a look at how the children in Year 3 have been playing with phonics. 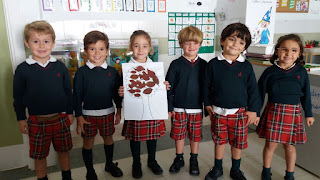 As you know, this month´s unit has been all about the autumn and the things that we can see around us during this season. 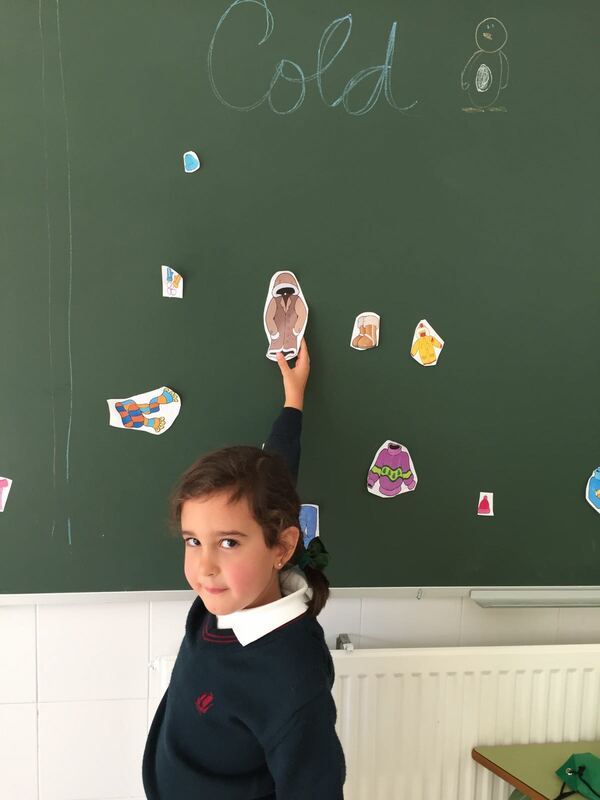 One of the animals that we have been talking about is the owl, and we have learnt a fun poem about it to show you. We also made masks to get into character. 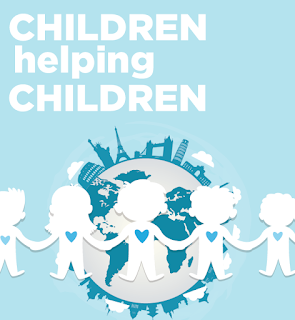 Today we held a special event at school called "Children helping children", a typical event that British children take part in to help children less fortunate than themselves. 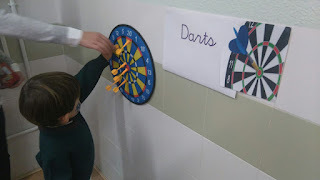 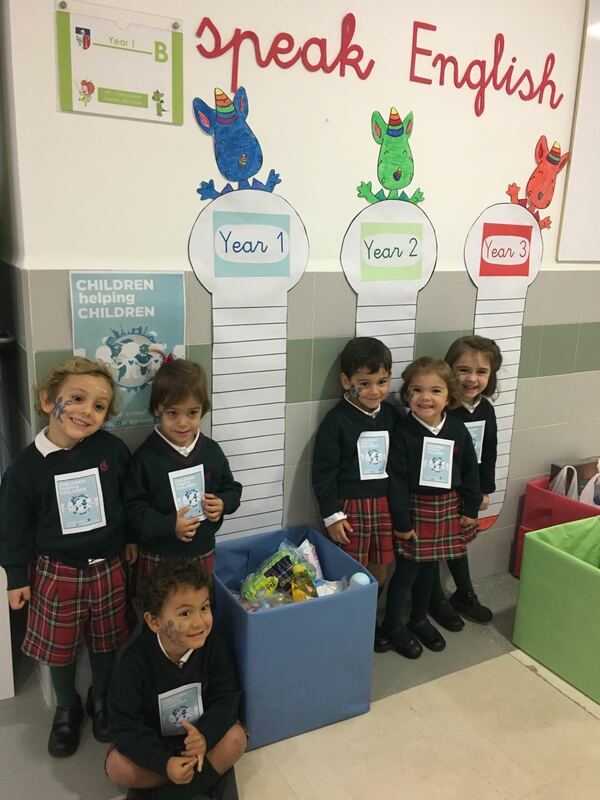 We played lots of fun games in our English classes and have begun filling up the boxes in the hallway with lots of food to donate. 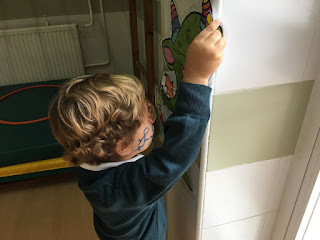 As we bring more and more food, we colour in more of the thermometers. 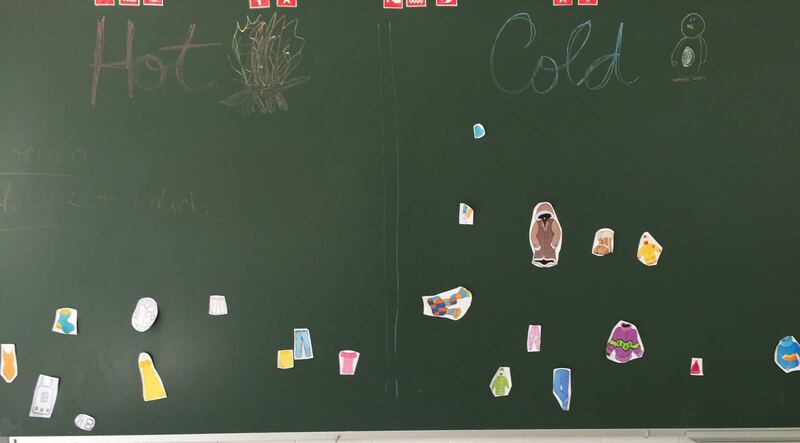 Let´s see which year group brings the most food! 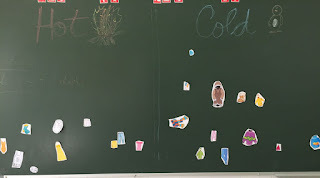 Keep an eye on the blog to see the progress of the thermometers. 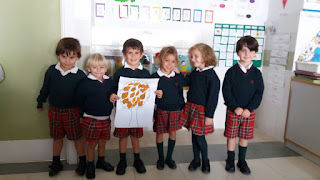 As you know by now, this unit is all about autumn and the things that we can see around us during this special season. 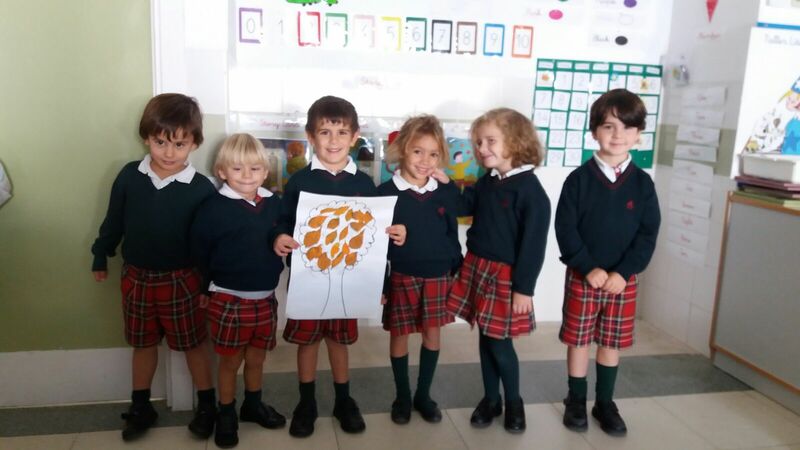 Of course, one of the most defining features of autumn are the leaves that change colour and fall to the ground. 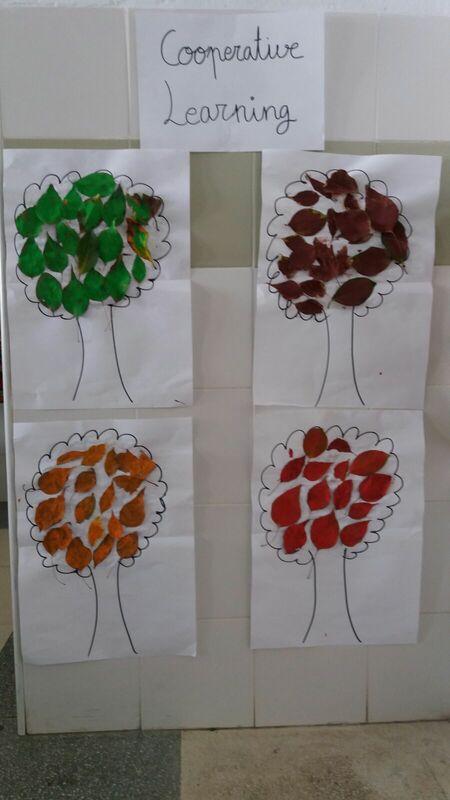 The children in Year 1 have been painting leaves using finger paint and today we went outside to play with them. 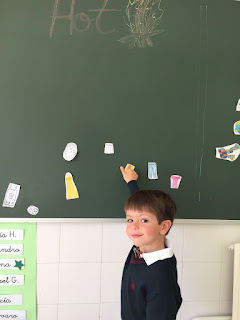 WHAT SHALL WE WEAR TODAY? As it is autumn and the weather is turning colder we have been thinking about what we should be wearing. The children from Teacher Mariana´s class have been deciding whether each item of clothing is appropriate for hot or cold weather. This month´s unit is all about autumn, and the children in Year 2 have been thinking about the different colours of the leaves that we can see on the ground and on the trees. 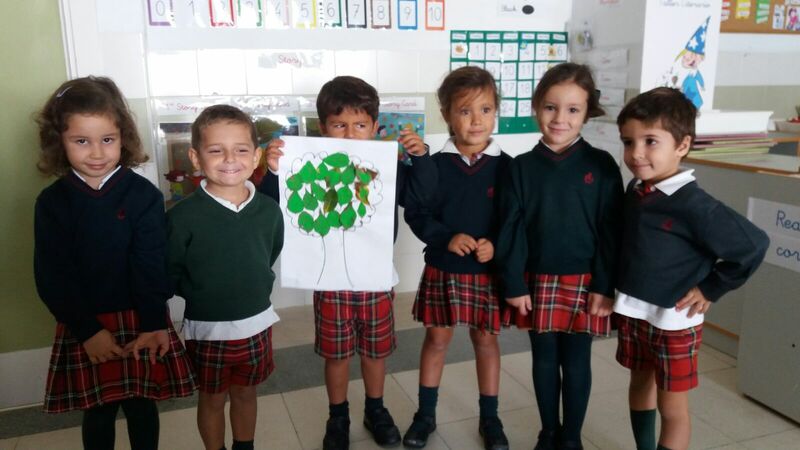 This week they worked in teams to paint leaves that they had found around the school and make trees of their own in the classroom! They are so creative! 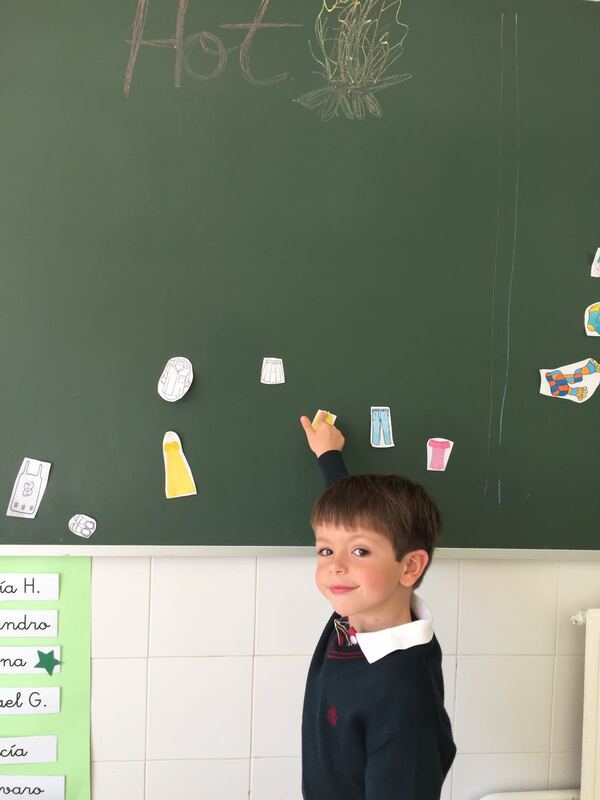 As part of our English classes we have a daily routine in which we talk about the weather, the seasons, numbers and much more. 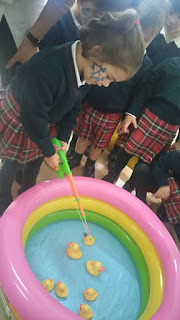 In Year 2 we have been learning how to ask each other questions about the weather. Soon we will be the teachers!